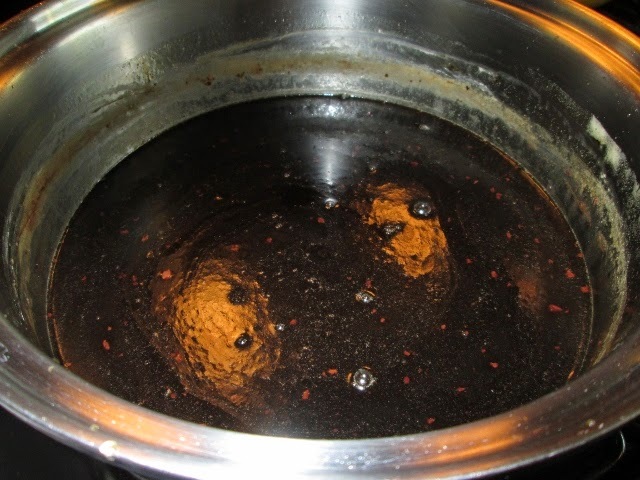 Homemade Kahlua? Can I get a oh-hells-yes-please? Carol Remsburg, a cook among cooks, just whipped up a batch of her famous Homemade Kahlua and mercy, mercy… I want to go to there. She says she has neighbors beating down her doors. I totally get it. I’m in Kansas and she’s in Maryland and I am about half ready to get in my car so I can beat down her door, too! 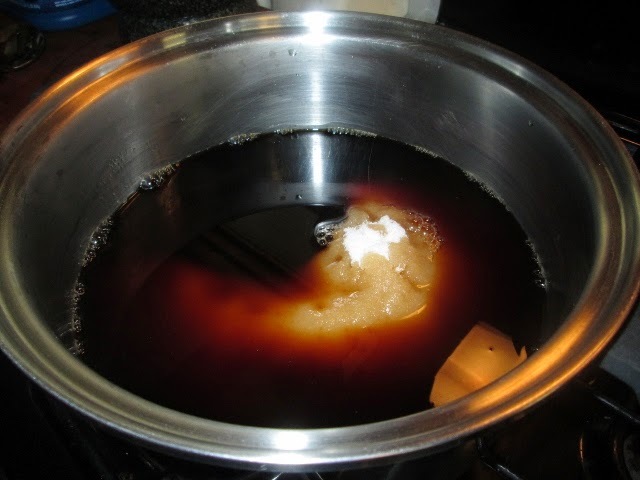 I’ve been making Homemade Kahlua for many years now. Mostly I follow the recipe from the ‘work’ cookbook from Second National, friends and co-workers from over 20 years ago, doubling the recipe and adding more. I don’t make Kahlua often, I don’t. This requires a trip to the local dispenser for both a bottle of cheap brandy and even cheaper vodka. Why? Because the actually flavor of both don’t count. The flavor of the Kahlua comes from the coffee and all the rest. 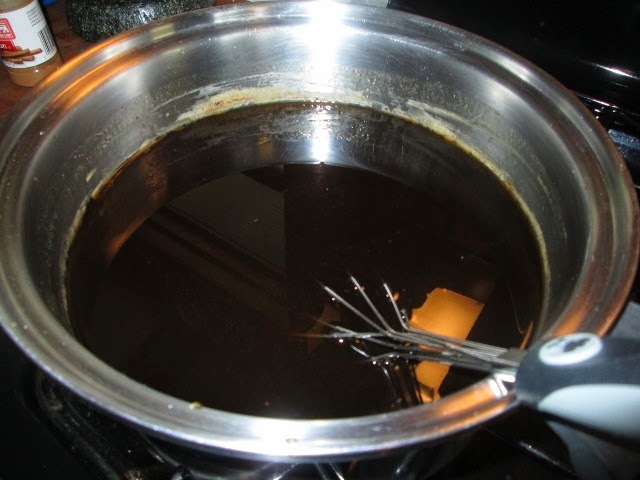 How did I learn to MAKE Kahlua? 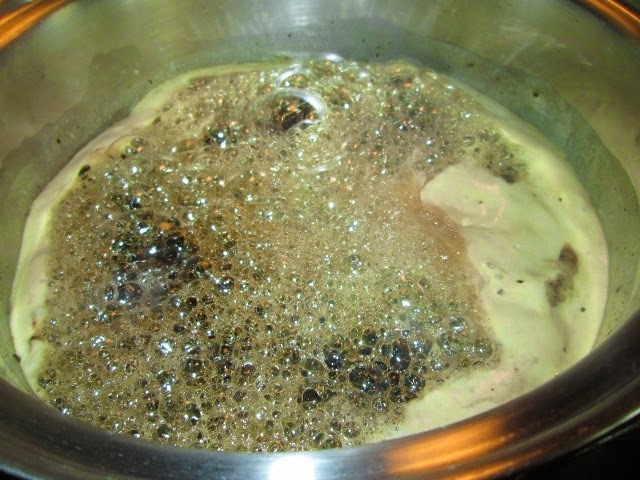 Bring water to a boil, add the coffee and then the sugar. Bring to a boil and then remove from the heat. After it cools, add the brandy and vanilla. Well, I didn’t just double this, I tweaked it. Wash up the Mason-Ball 8 oz. jelly jars and lids. Into a large steel, heavy bottomed pot set to boil. Put the coffee, brewed and instant, and all the sugar. Watch this, if you have GAS, you can turn it off. If you have an ELECTRIC stove, MOVE it from the heat. 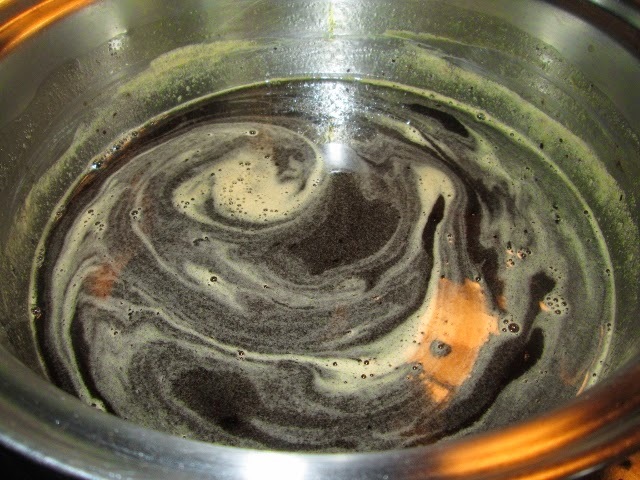 Bring to a boil, watch it, stirring often. Now is the time you toss in that handful of semi-sweet chocolate. Whisk it well, it should be hot enough to melt, you may have a few floaties, but they will melt, later. Wait about an hour, maybe a little longer, this stuff is like making-candy HOT, sugar holds heat. Wash your hands, dip a finger into the mix, if it’s cool enough, then dip a spoon in there to check for flavor. If it’s deep and rich, with that deep flavor you want, it’s cool enough that the alcohol won’t burn off. Now is the time to add the vanilla, whisk a bit. 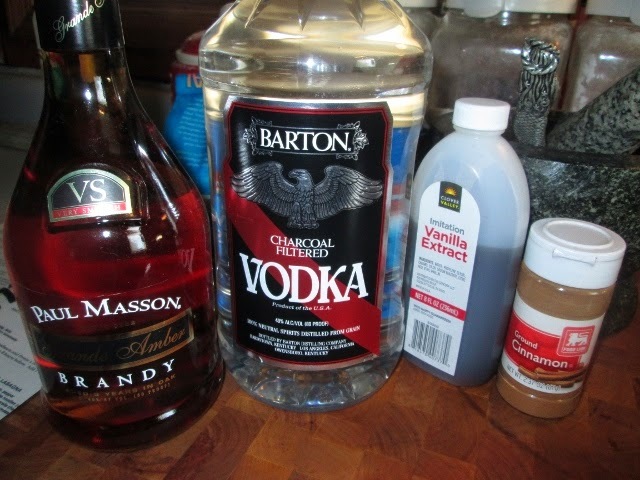 Then add the bottle of the brandy, followed by the vodka. Whisk it all smooth, it will come very clear quickly. How do you store this? Save this mass of supreme goodness? Mason Ball Jewel Jelly Jars…of course. All washed up and ready to take on precious cargo. 8 oz. at a time, that’s all you would need and I brought home a case of them. All washed up and ready to roll. 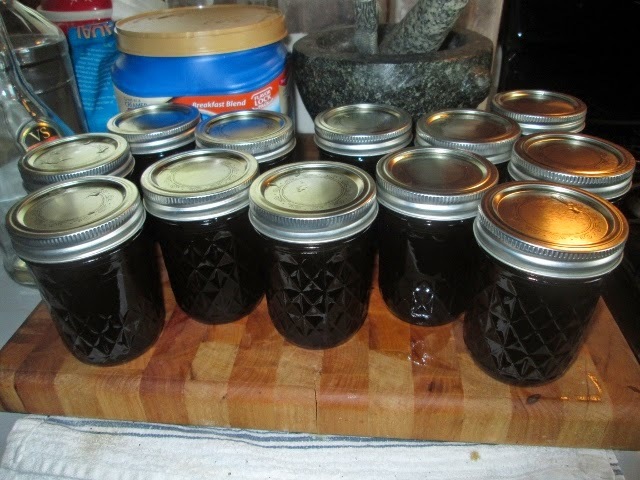 Each jar was filled, capped tightly, and needs to be stowed into a cool, dark spot. While you can imbibe at will, the longer this rests, the better it is, especially after about 30 days. 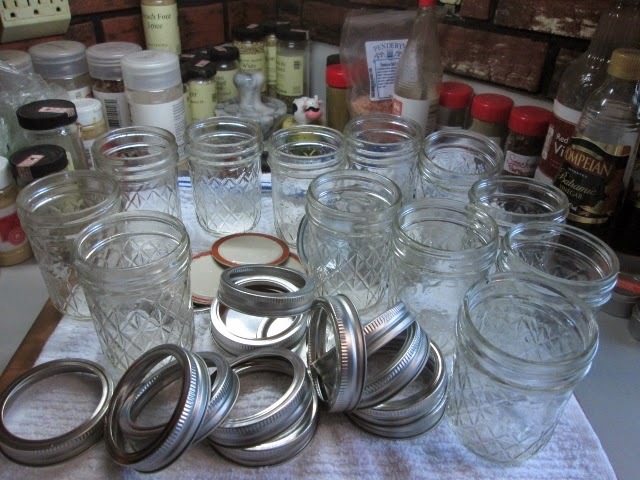 While you don’t have to refrigerate the jars, keep them cool so they can do their job to finish making nice. It’s the storage for this little bit o’heaven that makes the difference. 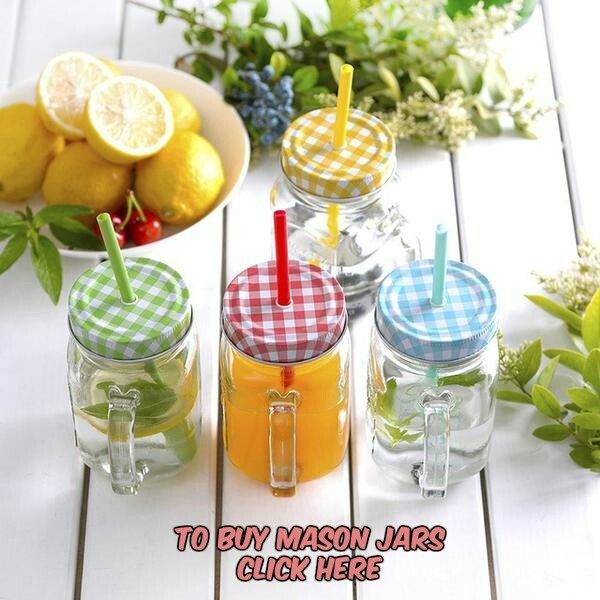 Only Mason-Ball jars can store this prize so well, filled with sugar, they’ll keep and seal for months, very well, just keep them cool, not chilled. A 750 ML bottle of Kahula runs about $23. 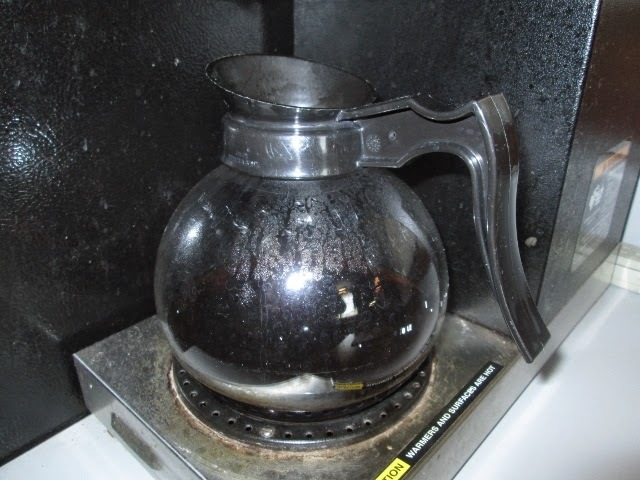 7.50 ML is just over 3 cups. 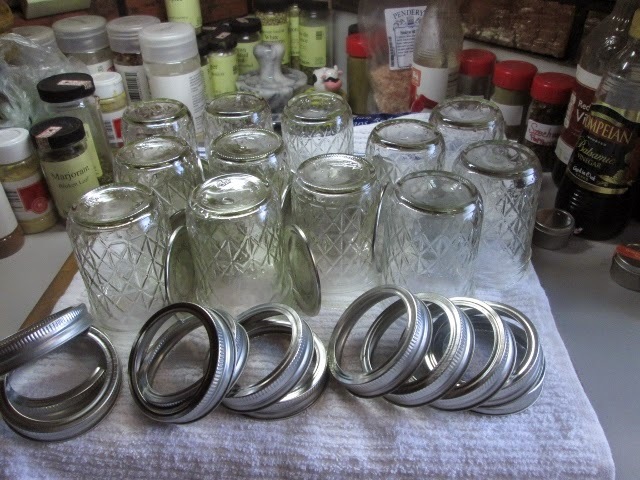 Let’s see, total costs to make, and the jelly jars, and I had a coupla extra. So, 4.67 x $23.00=$107.41…or make it yourself for about $21.45. That’s including the Mason-Ball Jars ya just gotta have. You just hope they come back home to roost to reuse. 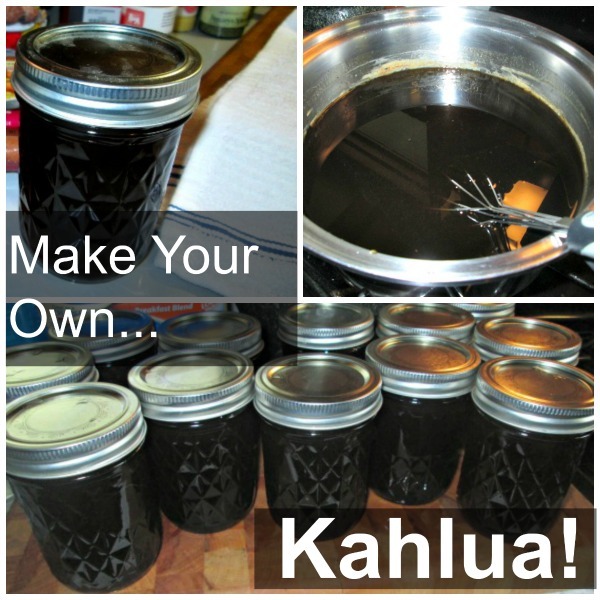 Homemade Kahlua makes fabulous Christmas gifts, birthday gifts, pretty much any type of gifts. Remember..always leave’em wanting more, and with this stuff, they will be clamoring at your door. The funny part is, they can make it themselves, just like you can. It’s so easy. So go and play in your kitchen.